​Everton manager Marco Silva has conceded that the club need to offload some players before they can make any signings in the January window. The Toffees travel to Southampton on Saturday afternoon, looking to build on their victory against Bournemouth last time out. The club spent close to £90m in the summer, with the signings of Richarlison, Lucas Digne and Yerry Mina making up the majority of that sum. Silva also brought in Kurt Zouma and Andre Gomes on loan, and Bernard came in on free from Shakhtar Donetsk as the Portuguese manager looked to bolster his squad. 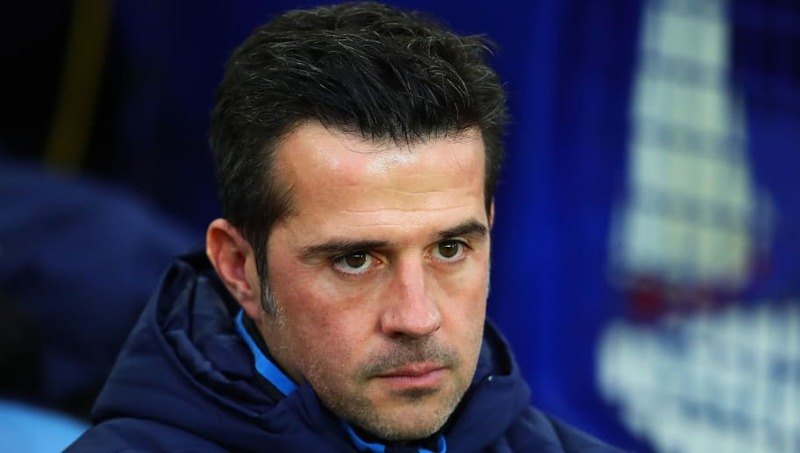 However there's unlikely to be a repeat of that in January, as Silva has admitted that there will need to be outgoings before the club can bring in any reinforcements. "When you asked me the last few weeks the possible players coming or not in the market, I told you that you just can't sign someone if someone leaves the club or we sell someone," Silva said (as reported by the ​Daily Mail). "We don't have the financial conditions to go in the market, (that) is the feedback I have at the moment. I have to find different solutions." Oumar Niasse has since joined ​Cardiff on a loan deal until the end of the season. The 28-year-old joined the club for £14m, but failed to nail down a starting spot in his two years at the club. He may be the only departure of the window however. The likes of Phil Jagielka and Morgan Schneiderlin have been tipped for exits, but Silva has insisted that both have a future at the club. "Their future is here with me, every day working hard like they are," Silva continued. "Jagielka started playing the first game, Schneiderlin played the first few games. After that it is a matter of performance. "Their future will be here to play again and help us win matches. Jagielka is our captain and is an important player in our dressing room. Morgan is a senior player also."